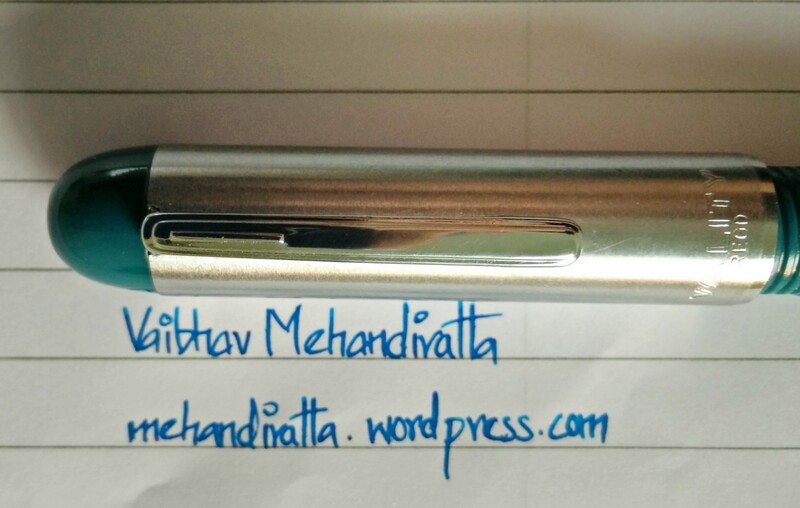 The pen I am reviewing today and actually using for quite long is Wality 52 PD. And this is my every day carry (edc) pen. This is actually the second Wality pen I bought after Wality 69 A, because i liked the way 69 A wrote. 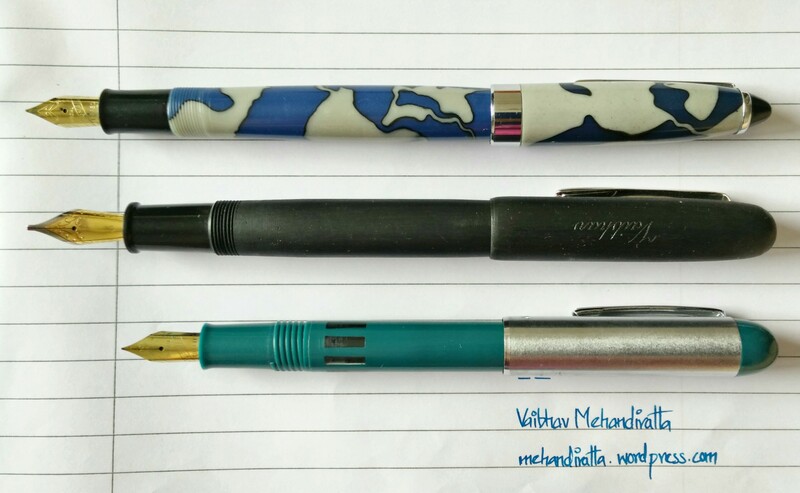 Wality pens are manufactured by Airmail Pen Company based out of Mumbai, India. Like 90% of my pens this pen also was procured from ASAPENS also. 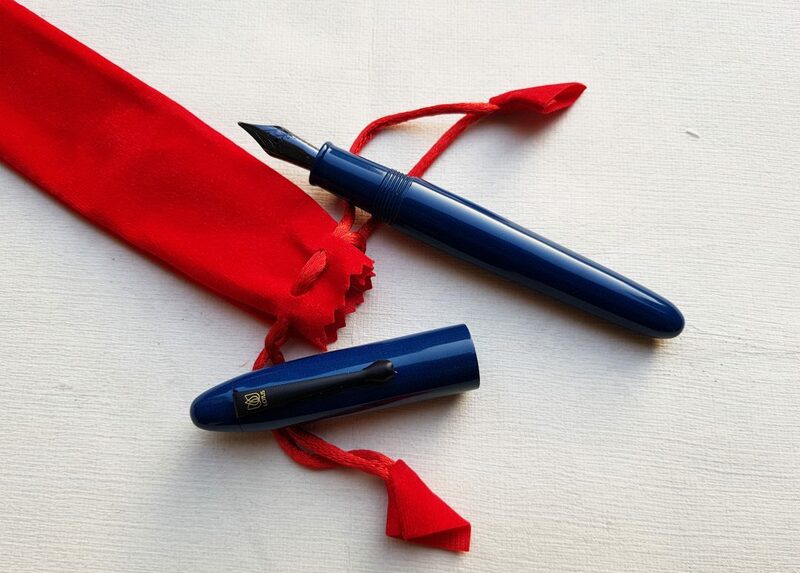 It is also available at Fountain Pen Revolution albeit at Higher price. 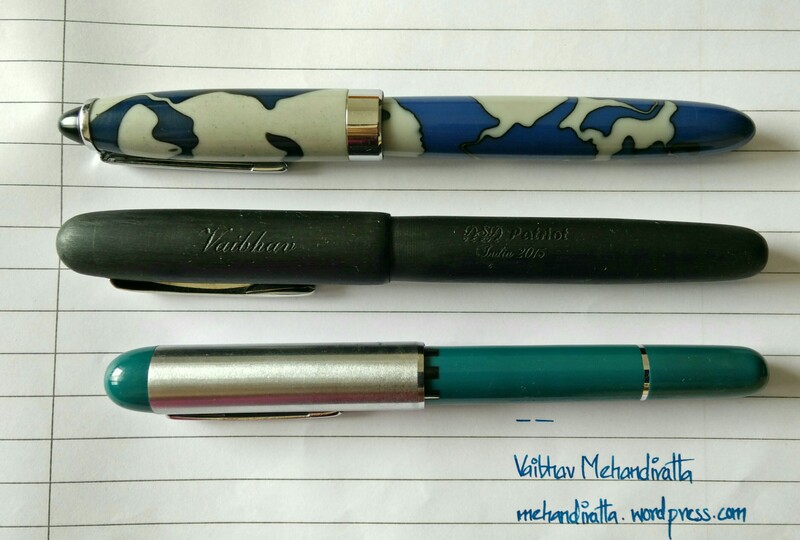 This pen arrived along with my other Wality pens like 71JT, 70 AM and Pilot 78G BB Nib. 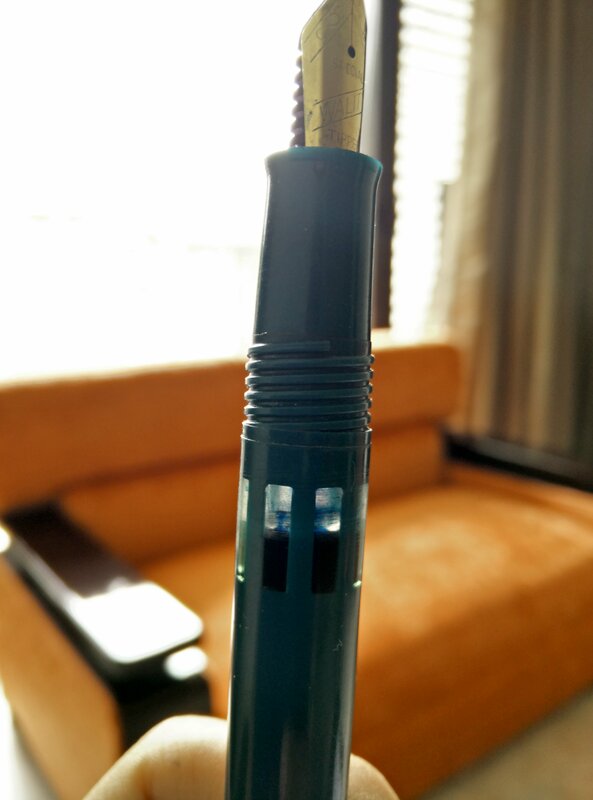 This actually is my second Wality pen and it happens to be a piston filler. It comes in variety of colors like green, teal, burgundy, blue and black. 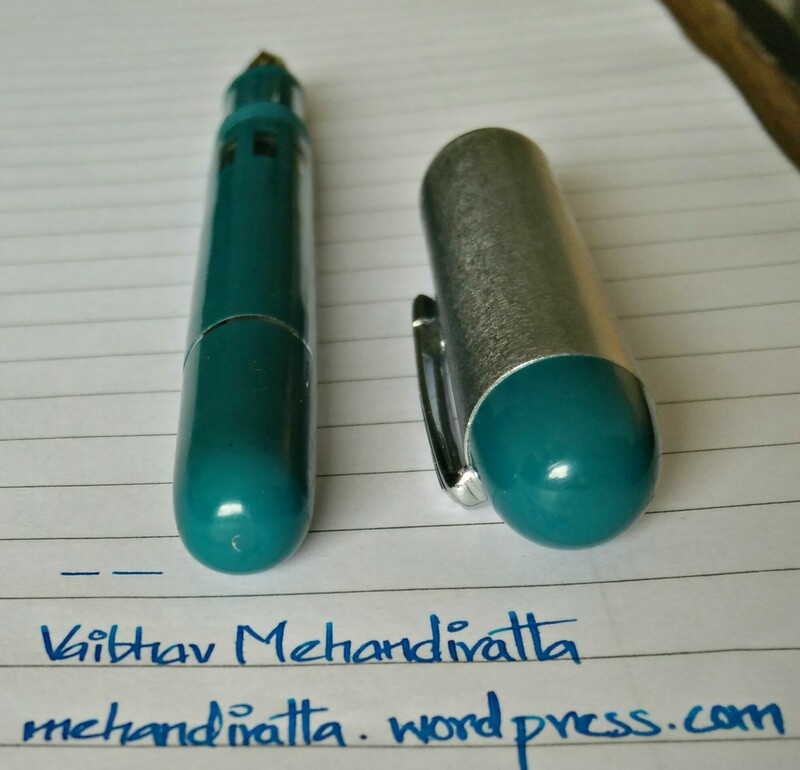 Like my previous Wality pen this also gives a certain pungent odor and from what i have come to know is that they they have used a LDPE plastic, which smells a bit. I washed it with detergent water and also kept it overnight in detergent water but still a faint smell persists which now at the time of writing review has subdued. 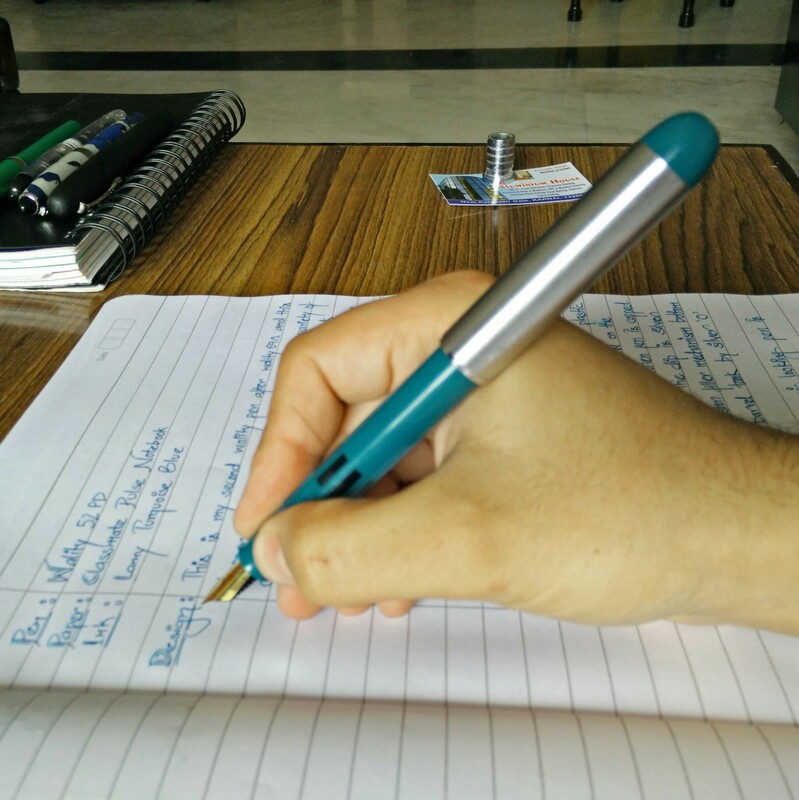 The pen is a classic design and has an amazing build quality for an inexpensive pen. 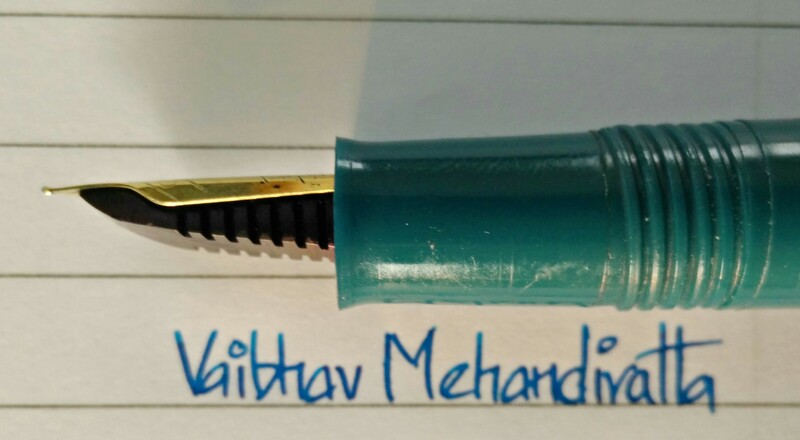 Unlike many Chinese pens (no offence) this pen has a certain character and recall value. Classic Design with matte finished silver cap and clip inspired from the skyline series. And has that feel and character to it which makes it my EDC pen. 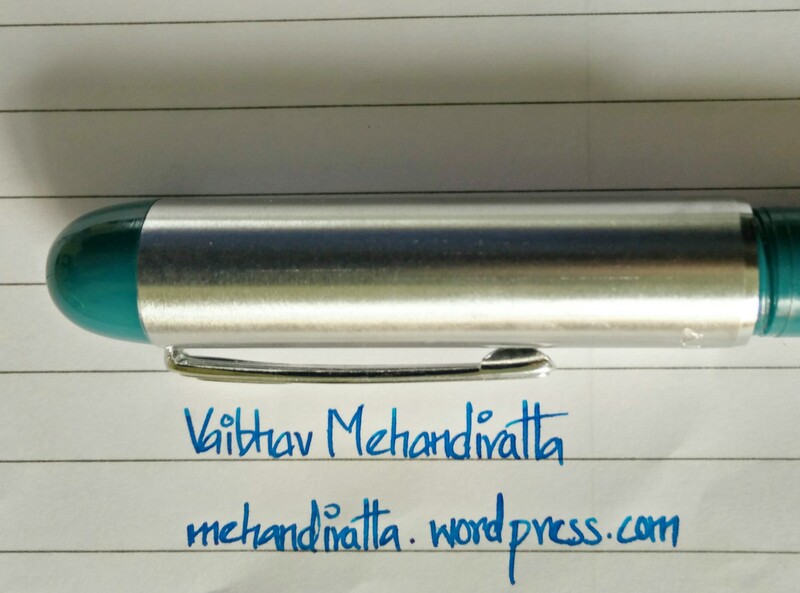 The pen actually feels quite solid in hand and has certain heft to it. 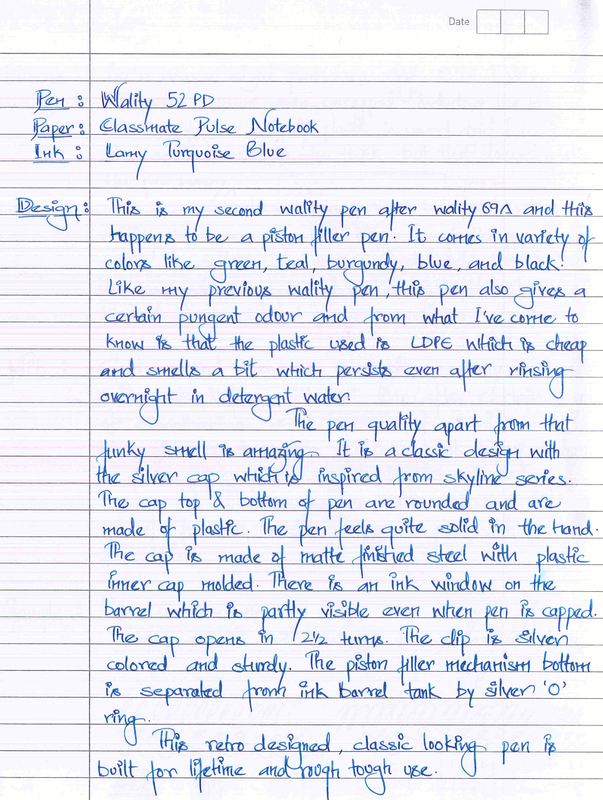 The cap top and bottom of pen are rounded and pen itself is quite straight without any tapering towards bottom or top. The Nib is monotone gold colored and the cap has inner lining of plastic and actually the matte silver metal is molded with the plastic. Also there is a inner plastic lining to prevent ink drying. 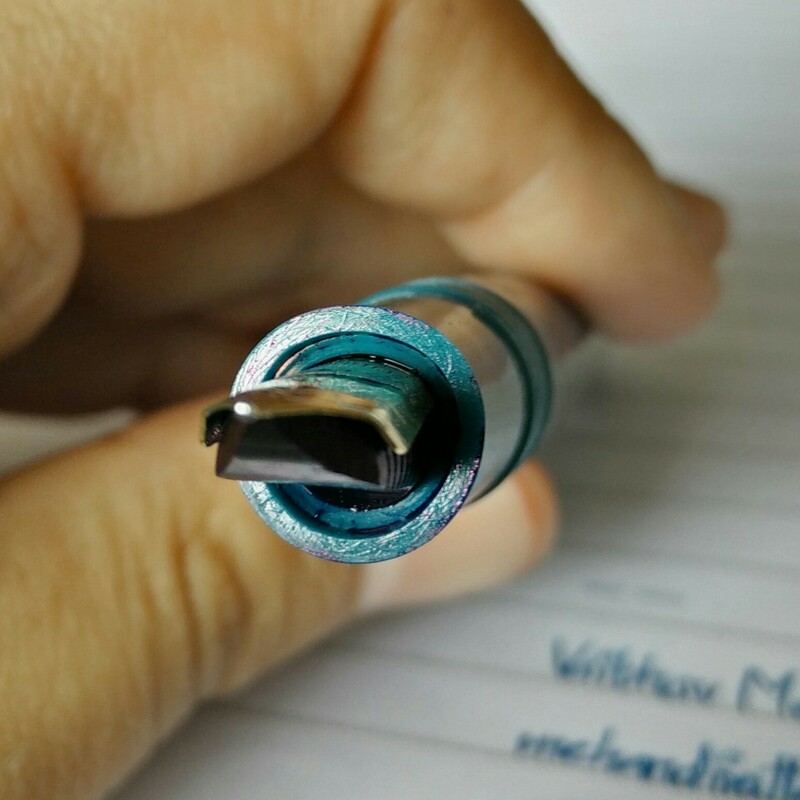 The pen cap open in 2 1/2 turns. The Clip is also silver colored and quite sturdy and springy at the same time. No complaints whatsoever in those regards. 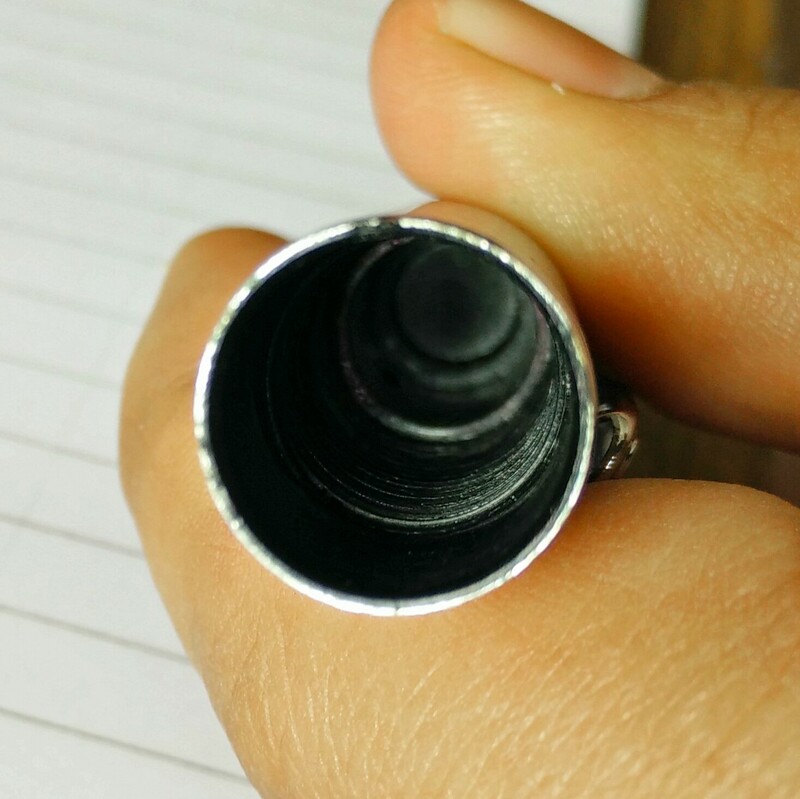 There is an ink window on the barrel just below the threads which actually is beneficial to get the idea of ink levels. This piston filler mechanism at the bottom is separated from main barrel via a silver colored ‘O’ ring. Below are the images showing the comparison in size with other models. 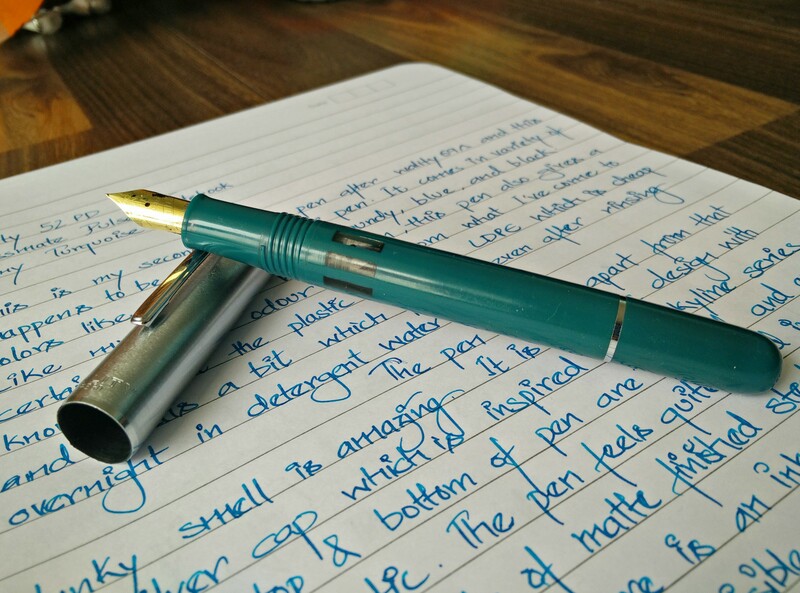 This retro look classic design pen is built for lifetime and rough tough usage. Full marks to the build quality. Its a regular sized pen measuring 135 mm when capped and 120 mm when uncapped including the nib. Even though the plastic used is quite sturdy and thick but that doesn’t make the pen heavy. 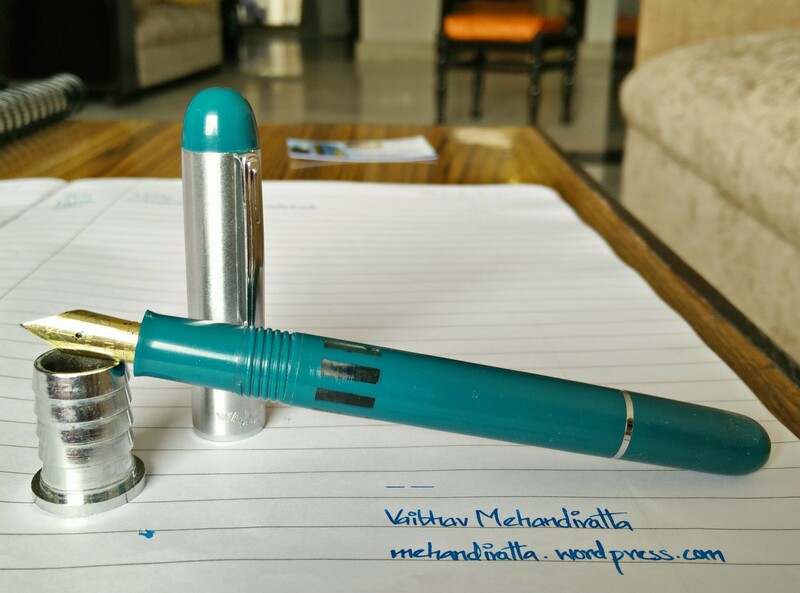 Yes the metal cap gives it a certain heft if you prefer writing with the cap posted at the back. However i prefer writing with cap unposted. Feels extremely well balanced when writing with the pen unposted. 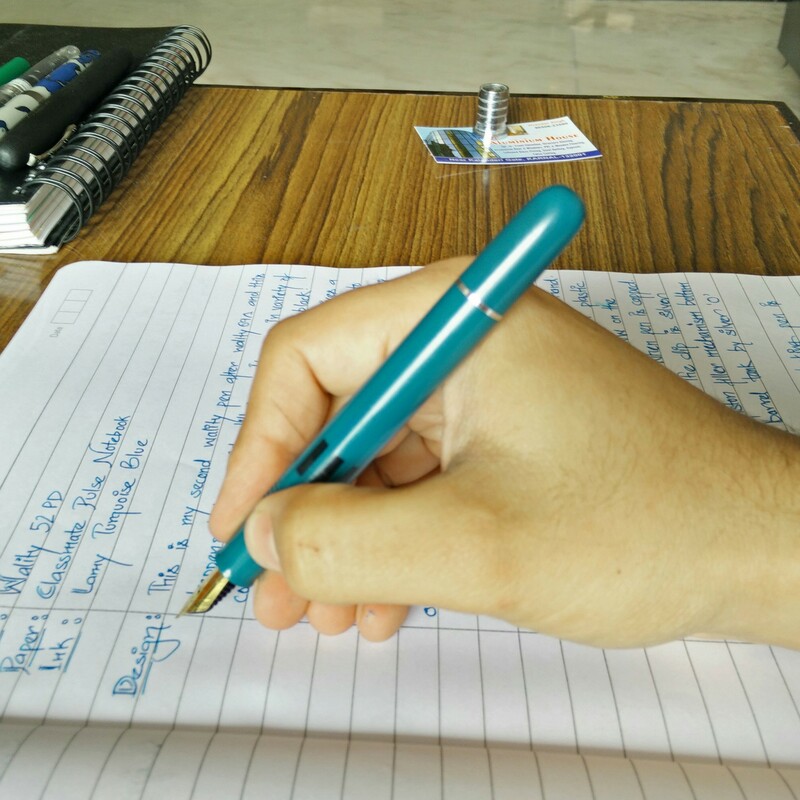 Even though the pen when posted makes it suitable for large sized hands but as mentioned earlier ads good amount of heft to pen which will make it unbalanced for small sized hands. 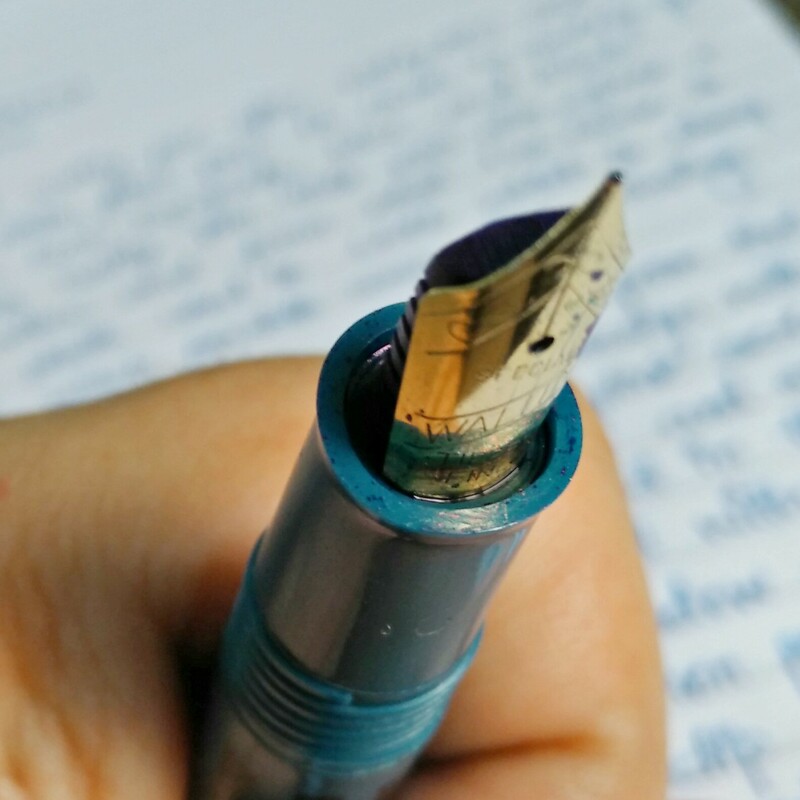 This is perfectly sized pen for my small hands and i prefer writing with cap unposted. The gold colored monotone nib was bit scratchy initially but after certain amount of tuning and smoothing of nib, it writes perfect. 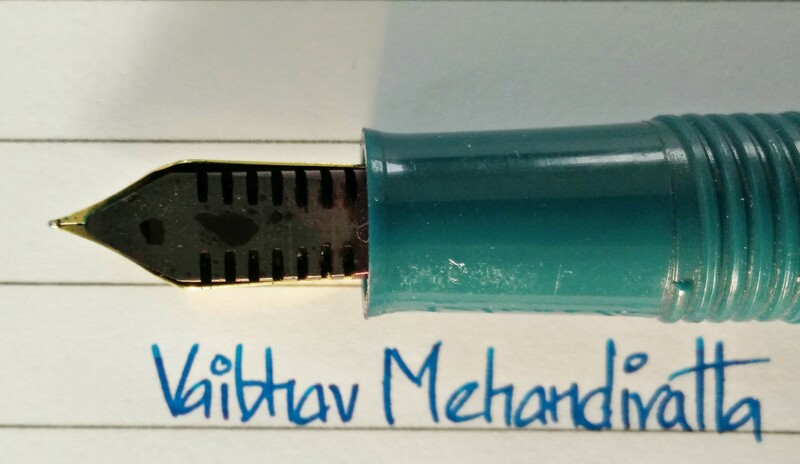 The Nib comes with engraving of “Wality Special Tipped Iridium”. 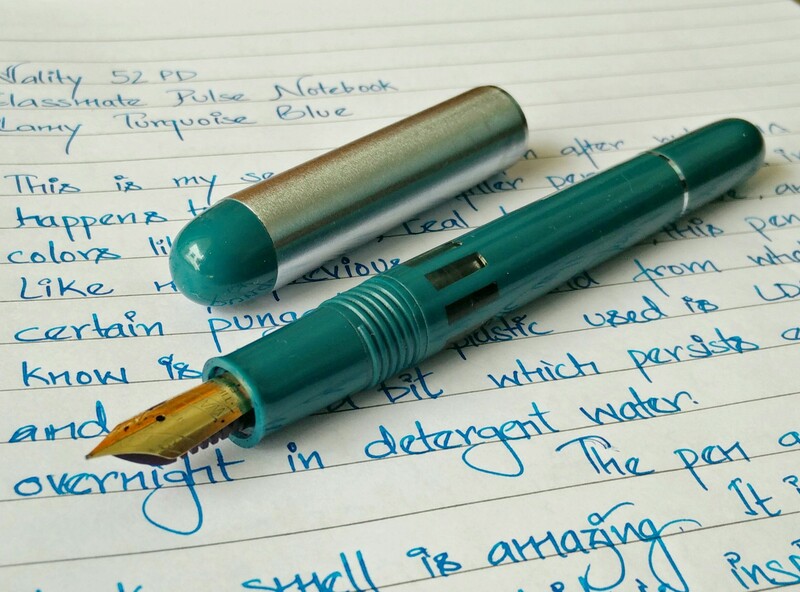 The nib now writes with the perfect fine line which gives you a welcomed good amount of feedback. And actually you will love the feedback this nib gives you and it is by no means scratchy. Feed is made of ebonite and has a quite a good supply of ink. The nib and feed are well inserted in the section and up till now there has been no ink burping or leakage as i beleive there is no air gap. And as far as the ink filling mechanism is concerned it is a piston filler, the best way to fill ink. Love the pen. 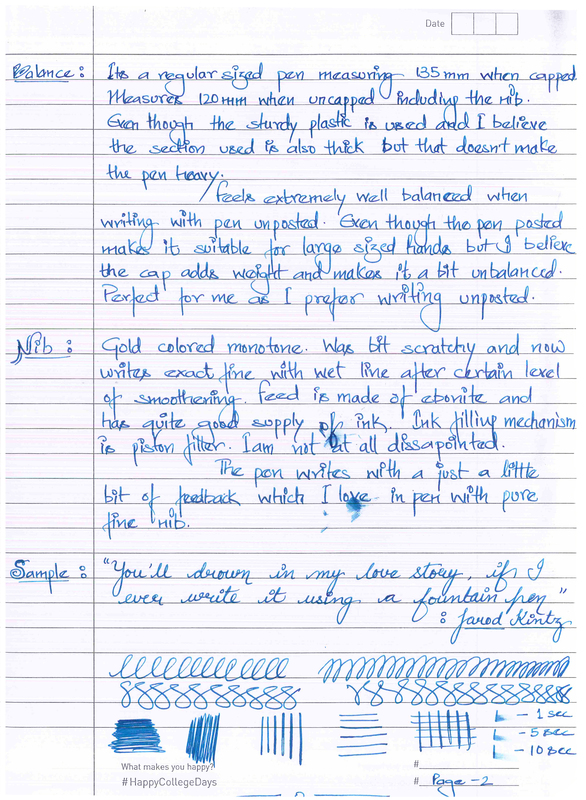 Below is my hand written review showing the flow of ink, line width and ink drying detail also. This pen is a nice buy for the price it demands. 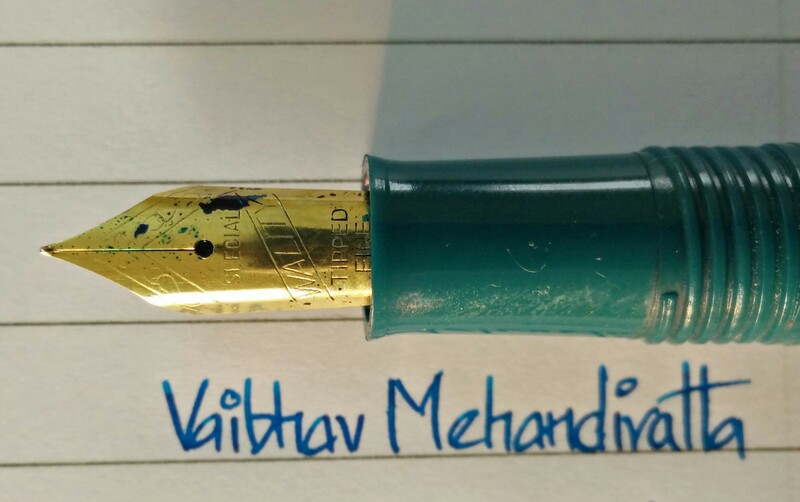 Well I would recommend to add it your collection as it is a piston filler which is mostly present in premium pens. Hello! 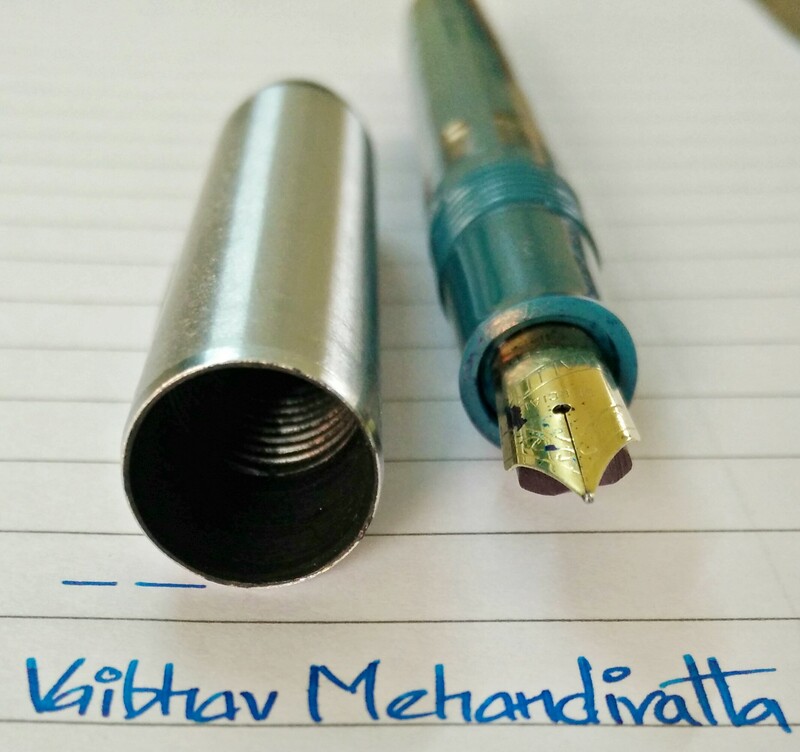 How can i buy this pen here in India? I don’t see any online store sell this pen. Tried to contact Wality/Airmail, but no response from their end. What a well done review! Excellent photos as well. You’ve made me want to try one of these. This pen looks great. 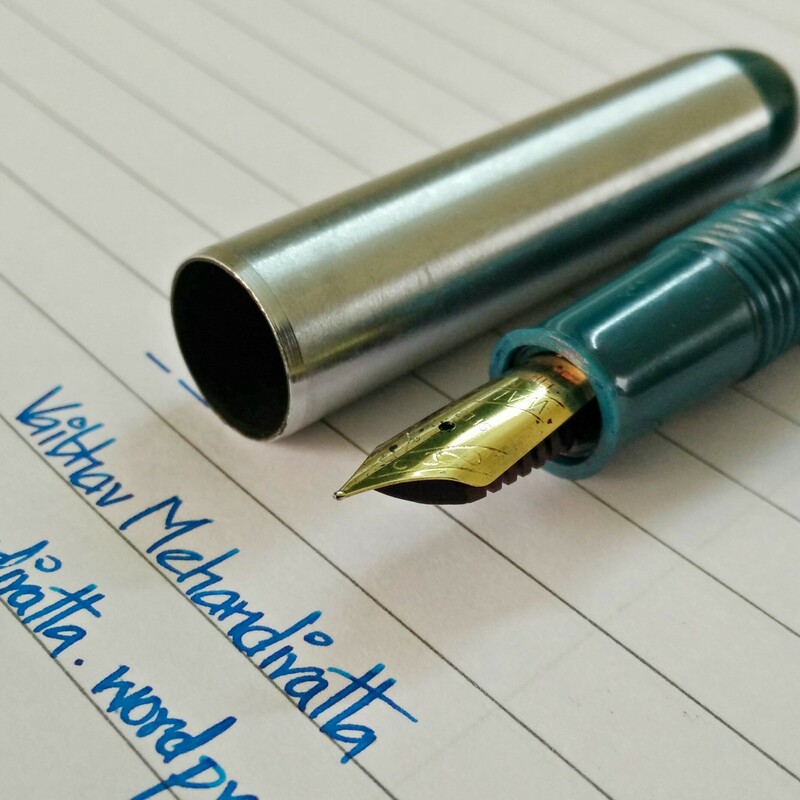 Reminds me a bit of OMAS especially the nib.